Thomas Biege: SELinux on openSUSE 11.2, what will be? Since 78 issues the Weekly News Team published the News. The News are translated into many languages, but why did I make a call for contribution? If we check Planetsuse or Lizards, we notice that the blogger are mostly the same. Our goal as the Weekly News Team is to make our publication interesting. So we need more blogger. If you have blog, we would like you to start blogging. You can write about interesting features, usefull ways to solve a problem or new things. You can write what you like on project or what you dislike. You can give us proposals or other stuff. We need you as an author! Then I’d like to come to the next point: Feedback. Sebastian, one of our Teammates has created an poll with the question: “How are the Weekly News”? You can find it here: http://forums.opensuse.org/surveys-polls/416228-how-opensuse-news.html. Please let us know, how are the Weekly News from YOUR view. Please use also the Comment-function for leaving a feedback. You can also mail to: saigkill@opensuse.org. If you can’t blog, you can post interesting blogs or posts in our Dashboard. Only through your contribution we can make the Weekly News better and more interesting. 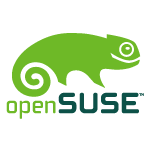 "The openSUSE Project is pleased to announce the release of openSUSE 11.2 Milestone 3. Images are ready for download and testing. This release includes the 2.6.30 Linux kernel, KDE 4.3 beta 2, GNOME 2.27.2, OpenOffice.org 3.1.1 Alpha, and more! This is a **Milestone Release**, one of several leading up to the 11.2 release in November. It may not be suitable for production systems, but should be stable enough for testing." "Good news, everybody! iFolder client packages are now available for openSUSE 11.1 from the openSUSE update repositories. This means you can install iFolder client on openSUSE 11.1 using YaST or zypper, without any modifications to your installed system." "The Kablink team has released 2.0 of the Kablink teaming platform.This release includes an updated user interface, advanced workflow features, an “expertise locator,” and tools for users to define what is (and isn’t) relevant to them. What is Kablink? Kablink is an open source collaboration platform that is the foundation of Novell’s Teaming + Conferencing products. It’s a “total” collaboration tool that integrates blogs, wikis, forums, document sharing, and workflow features for teams that need an integrated collaboration platform rather than a piecemeal set of collaboration tools that only solve part of the collaboration puzzle." "From openFATE’s launch in January ‘09 the addition of a new feature was limited to openSUSE members. Due and thanks to several requests out of the openSUSE community we changed this and are happy to announce today that openFATE now allows feature requests for non-members as well. This will lower the bar again to participate directly in the project and in the development of openSUSE, openSUSE Build Service and openFATE itself. We’re looking forward to receive more qualified feature requests to make our openSUSE distribution and the project itself fit your needs better from day to day. To use openFATE please check first here." Ricardo Varas Santana: openSUSE Day (Chile): Awesome. "And the day came. After a six hours trip on bus, and a few minutes of sleep I got to Santiago de Chile. Francisco Toha picked me up so we headed to Universidad Andres Bello for the openSUSE Day. Huge building and plenty of room for everyone. The event started almost on time. I followed the first talk, a bit hoping to have a decent internet connection so I could show a live SUSE Studio test drive. OK, that didn’t happen. The internet traffic ratio was too slow like waiting 59 minutes to build an JeOS appliance was nuts so that was definitely the low aspect of the talk." "It was great to be at LinuxTag, it was the first time I have been to LinuxTag in fact! So here is what happened to me at LinuxTag: ..."
Direct Link to his Pictures Folder. "It’s amazing how quickly four days can zoom by! LinuxTag 2009 is now in the rearview, so how did it go? By any objective measure, LinuxTag 2009 was a bit of a mixed bag. It drew a quality crowd, but smaller than last year (which by many accounts was smaller than the year before) and fewer exhibitors than the year before as well." "Last week was LinuxTag, in Berlin, and I went there to help with the openSUSE booth. We had a really nice booth, where people could play with laptops, try the build service or SUSE Studio. Oh, and we enjoyed writing words with magnetic letters on a board :-)"
"Sugarlabs, creators of Sugar desktop environment for children recently released Sugar on a Stick (SoaS) Strawberry flavor. Strawberry is based on Fedora 11.
openSUSE Education team have also been working on getting Sugared up openSUSE in various (yet to be named) flavors :). Thomas C Gilliard (satellit) has put up openSUSE-Sugar VMWare appliance, get it from here. Apart from VMWare appliance openSUSE-Sugar is also available in live CD and USB/flash stick version." "Today, three days before the Gran Canaria Desktop Summit starts, the KDE team released KDE 4.3.0 RC1. RC1 is an early candidate for what will become KDE 4.3.0 at the end of this month. Artwork has now also been merged, and KDE 4.3 will have a new Plasma look, sported by the new, light "Air" Plasma theme. Oxygen, the default in earlier versions of KDE 4 is still available as an option through the "Desktop Settings" dialog. Please give this version some good testing so we can iron out last bugs and make 4.3.0 a smooth release. Note that KDE 4.3.0 RC1 is not suitable for end users." "It is that time of the year again. Akademy 2009 is about to begin in only a few days. Held in the Alfredo Kraus Auditorium close to the beautiful beaches of Las Palmas de Gran Canaria, this event is shaping up to be a special conference." Our Ambassador program is growing, but you always find some ambassdors who don't have any userpage. Sascha found out that many don't have one, because they just don't know how to create one. So he took about 15 minutes of his time and wrote a short und good tutorial how to create one. If you still have no userpage, just try yourself out and discover how easy it is. "Before continuing the “API saga” I needed to have an infrastructure to be able to load a bulk of documents and save them using a certain filter. For me the reason was mainly for testing purposes, however its very convenient for “bulk conversion” too." Do you have a Macbook and you want to install openSUSE on it, but you don't know how? Gabriel Stein shows it to you. He gives here an instruction how to install openSUSE and what you have to take care of, where he also links to some openSUSE wiki pages, who are good to read before you begin to install. This news is the first time, that we have not just some examples, this time we have a great tutorial for every KDE user/developer, who to create a KWin effect in C++. Our Java serie is still going on with Mohit Verma's thread about D-Bus with Java, but also Mario Carrion made a tutorial about multiple parallel Mono environments. "Firefox 3.5 is based on the Gecko 1.9.1 rendering platform, which has been under development for the past year. Firefox 3.5 offers many changes over the previous version, supporting new web technologies, improving performance and ease of use. Some of the notable features are: ..."
"I’m happy to announce OpenOffice.org 3.1.1 alpha2 packages for openSUSE. They are available in the Build Service OpenOffice:org:UNSTABLE project and include many upstream and Go-oo fixes. Please, look for more details about the openSUSE OOo build on the wiki page. The packages are alpha versions and might include even serious bugs. Therefore they are not intended for data-critical usage. A good practice is to archive any important data before an use, …"
"KDE needs as an entire project to support a Web browser that everyone can use in 2009. That's the simple message behind this blog entry and my talk at LinuxTag on Saturday.If you need any more motivation to go out there and make that happen, read on. I have to admit that as a KDE user for the past ten years and a developer for 8 years, I'm writing this blog on Firefox right now. What do 95% of desktop users actually do after they log in? They consume content. That means they use Firefox, use Firefox, use Firefox, use Firefox, and while they are at it they may listen to music using Amarok. Unless you are reading this in lynx, you know what users are doing - webmail, social networking, youtube, microblogging, editing online documents, uploading to their photo collection, using intranets." "The next openSUSE version is in the queue, milestone 3 of 11.2 was already released during LinuxTag last week. We try to make 11.2 more SELinux-enabled than before. When you watch the security:SELinux (account needed) repository you may have recognized some changes during the last days. What did we changed so far: ..."
"I came to know from this blog that there is a YaST module for searching software in openSUSE package repositories and Packman! Very cool indeed!" "Two days of KDE Wiki Meeting are over. Danimo, Frank, Lydia, Dominik, Milian, Thorsten and me met in Berlin with the goal to get some more structure into the KDE Wikis and provide a plan for the future, where to put content. I'm happy to say that we accomplished this mission." "Qt 4.5.2 and Qt Creator 1.2 released, availible on the qt homepage or in a repository. Here for more details..."
"I thought I would incluse this in the news because it is sure to be of interest to some, though personally I miss nothing from that 'other' OS. " openSUSE Forum Hits 30,000 Users. "Just as we turn the 12 month point since the Old forums Merger and the start of the New Forum. Statistics report we have 30,000 user registrations." "The Latest release of the Mozilla Firefox Browser just hit the Build Service repo. See how users report on it's performance and or their troubles/woes." "I have included this because it's an example of what community support is all about. It'll take some reading through but the result is a resounding success." "Welcome to the seventh Linux gaming compilation. The long-awaited Wolfenstein: Enemy Territory is finally here. Then, there's the masterpiece UFO: Alien Invasion, a remake of the legendary UFO: Enemy Unknown. Fans of board games, including 3D board games, will also like today's choices. Racing fans won't be left in the dry, either. We will talk about Liero and Liero clones, two other FPS, a number of arcade games, and more. It should definitely be interesting." "For many, migrating to Linux is a rite of passage that equates to a thing of joy. For others, it’s a nightmare waiting to happen. It’s wonderful when it’s the former; it’s a real show stopper when it’s the latter. But that nightmare doesn’t have to happen, especially when you know, first hand, the most common mistakes new Linux administrators make. This article will help you avoid those mistakes by laying out the most typical Linux missteps." "Separation of concerns is a concept in object-oriented (OO) software design that allows you to build more-modular applications. Modular applications are easier to maintain and add new features to. PHP's OO language features allow you to apply design concepts to build more robust, maintainable applications." "Computer manufacturer Acer is now offering the Acer Aspire One A150-Aw in the UK for just £149.99, which is not much more than the cost of advanced smart phones such as the iPhone. In fact, Acer promotes the Aspire One A150-Aw as a communication device, more so than a general purpose computer, as shown below. Linux netbooks are changing the rules of the game in the PC market. Consumers are learning that they can get decent basic computing services inexpensively and they don't ..."
This is an great Idea. Linux.com published an new Howto-Series for new Kernel-Module Builder. These Series are good for People, who has compiles an Program. Have a lot of Fun! "Fluendo S.A., the popular software company that offers audio and video codecs for various Linux distributions, such as Mandriva, proudly announced yesterday evening (July 2nd) the immediate availability of a new solution to legally play DVD-Video discs. Being based on the GStreamer framework, this piece of software is ideal for Linux users whose DVD playback is restricted." lists.opensuse.org has 37006 (+58) non-unique subscribers to all mailing lists. The openSUSE Forums have 30294 (+285) registered users - most users including guests ever online was 7771, 02-Dec-2008 at 17:31. 3113 (+43) of 7566 (+124) registered contributors in the User Directory have signed the Guiding Principles. The board has acknowledged 294 (+1) members. The Build Service now hosts 6877 (+74) projects, 70199 (+236) packages, 12595 (+167) repositories by 15770 (+141) confirmed users.